This is another entry in my “I can’t cook” series. I intended to make rumballs. These are easy. They are cookies made out of cookies. A friend tells me that given the alcohol content, two or three of these will give you a buzz. Anyway, I started by grinding up a cup and a half of nuts. The recipe says pecans, which I used in addition to hazelnuts and cashews. 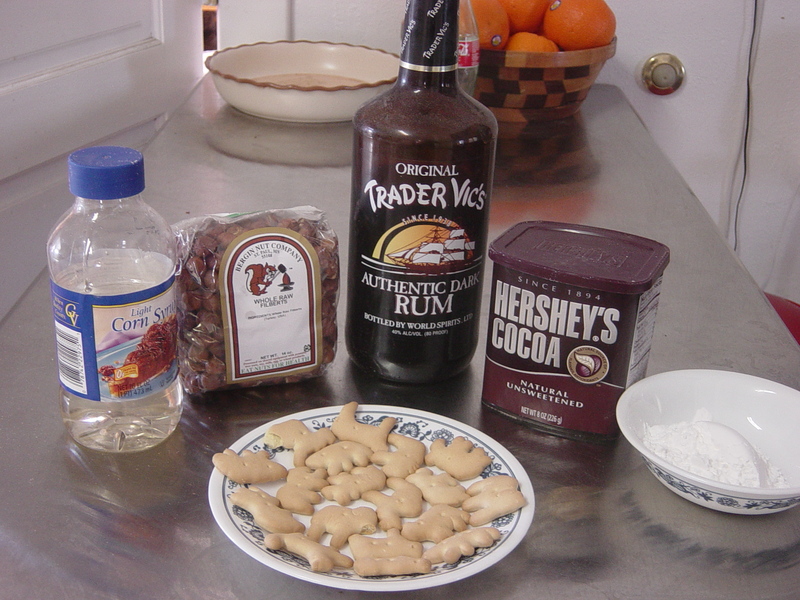 The next ingredient is a cup and a fourth crushed cookies, either shortbread or vanilla wafers. I used animal crackers. Add a half cup of powdered sugar and two tablespoons unsweetened cocoa powder. Then add two tablespoons corn syrup and one fourth cup dark rum. 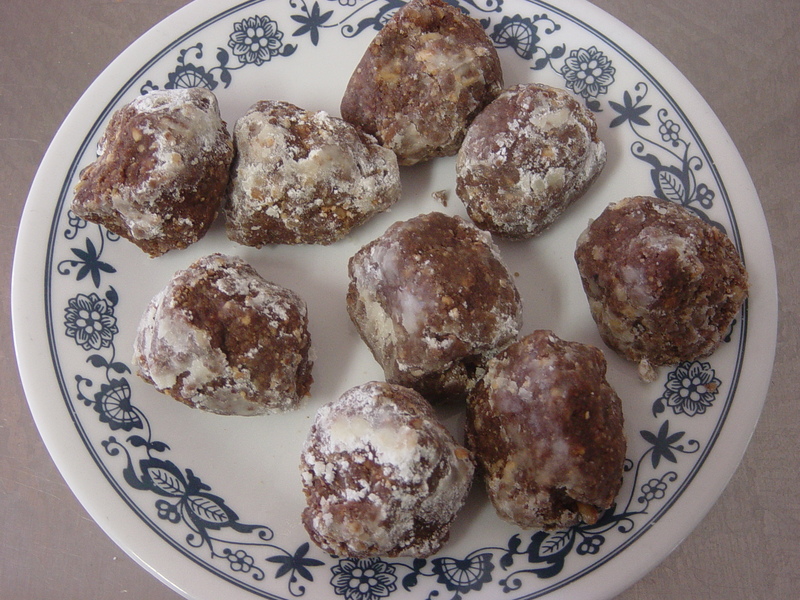 Mix and roll into balls, about one tablspoon per serving. Garnish with more powdered sugar. I discovered that I hadn’t really used rum. I had used brandy, rot gut liquor that barely qualified as brandy. Actually they tasted pretty good. And a whole lot less like old fashioned Watkins cough syrup than if I had actually used rum. You are currently browsing the The Blueberry Tales weblog archives for February 2010.